Creating your own bias tape is so easy anyone can do it--and this method requires no special tools! All you need is an iron and a pair of scissors. 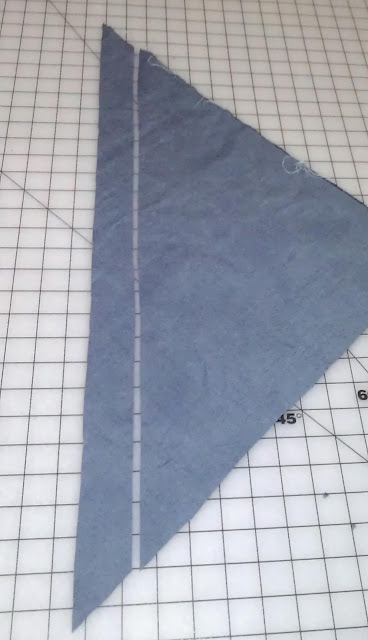 You can make bias tape in any width and out of almost any fabric, which helps give your sewing a personalized, professional look. How adorable are some of these bias tapes from printed fabrics? Can you just imagine the possibilities here--little kids' clothes, home decor items, etc.? Begin with 1/2 yard or more of fabric. 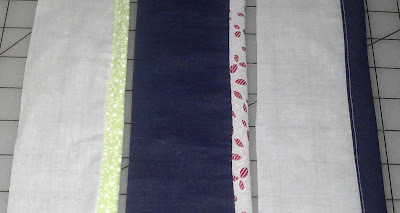 To start, you'll need to decide how wide you want your finished bias tape to be. 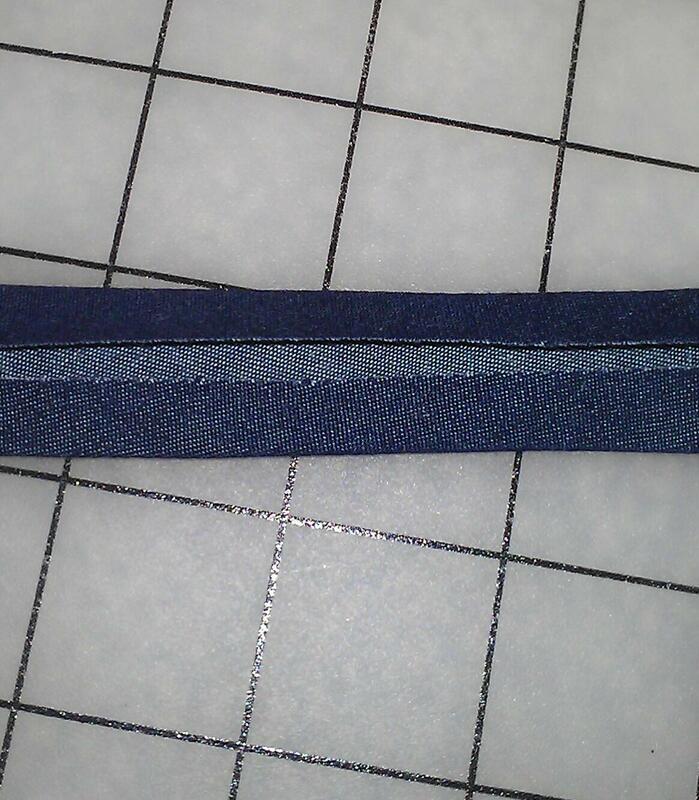 I typically default to a 1/2" double-fold bias tape. 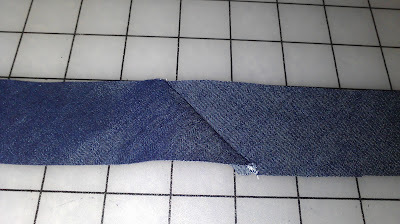 Double-fold means that the raw edges will be tucked inside. Take your finished width measurement and multiply it by four. 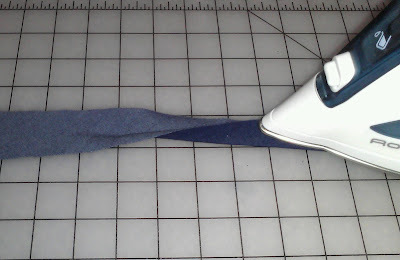 To make a 1/2" wide tape, you will cut a piece of fabric 2" wide. 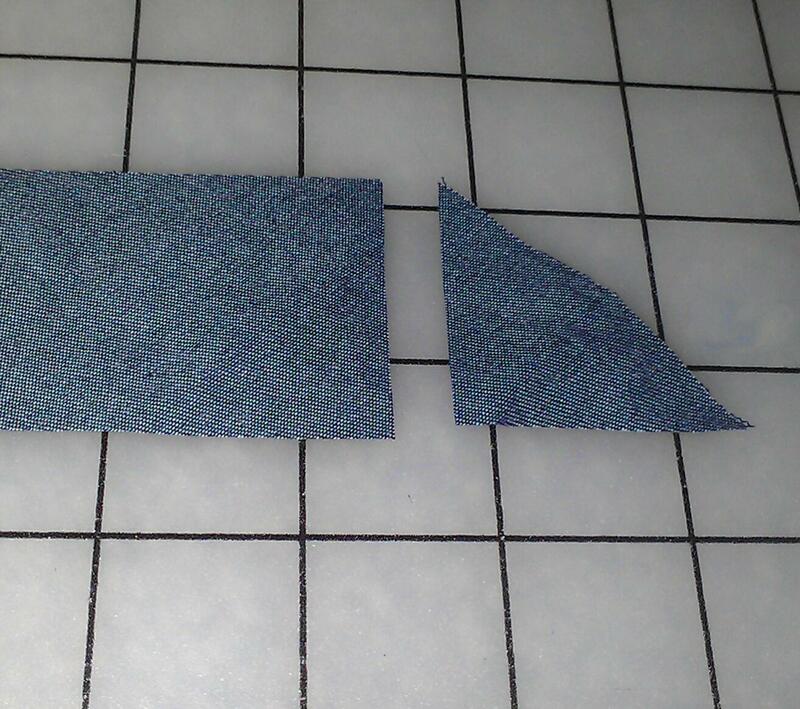 (To make single-fold bias tape, where the raw edges will not be encased, multiply your width measurement by two). 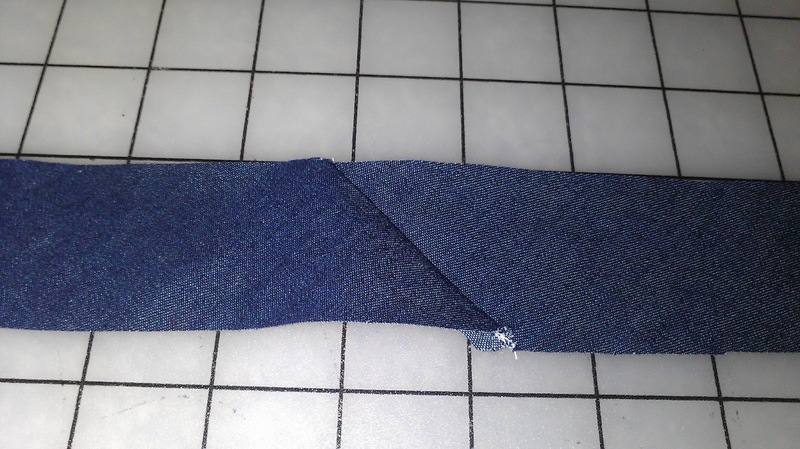 Lay out your fabric and find the selvage (the edges of the fabric that are woven tighter than the rest of the fabric and do not unravel). 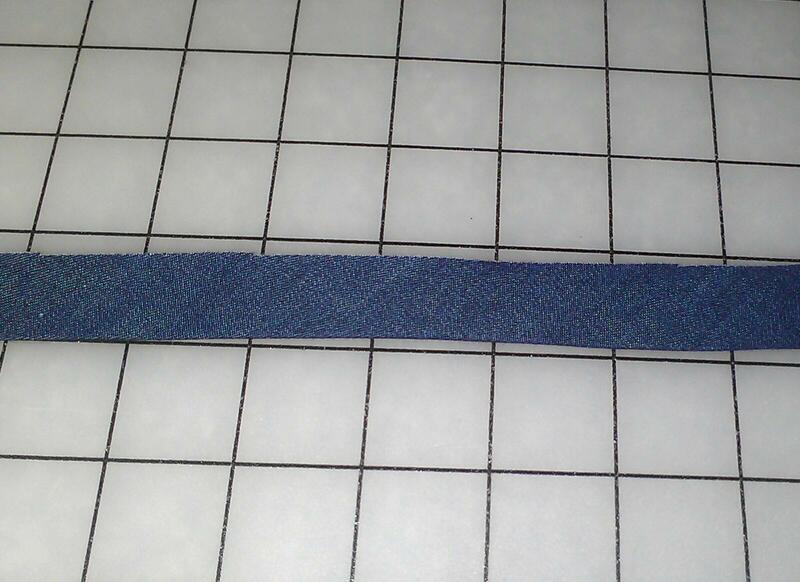 The selvage runs parallel to the grain line of the fabric. 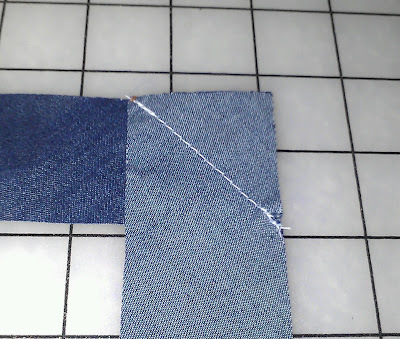 You will not be cutting on the grain line, you will be cutting on the bias (hence the name bias tape), which runs at a 45 degree angle from the selvage. Starting in one corner, make a cut across your fabric at a 45 degree angle. 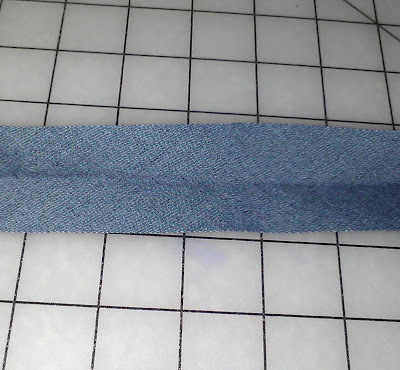 Measure from this freshly cut edge to the width you need and cut a strip of fabric the entire length of your fabric. 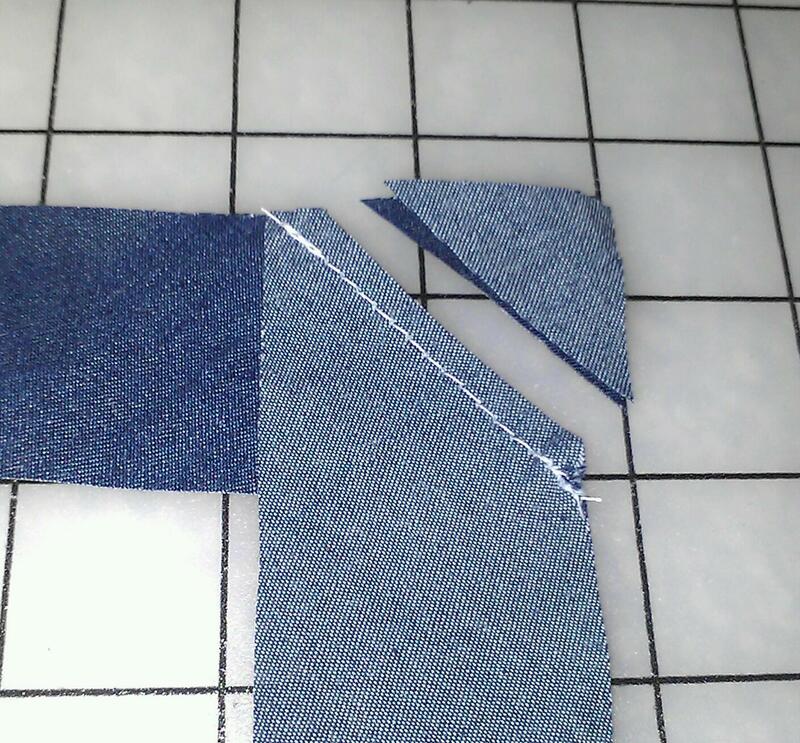 I usually cut several strips, because you will typically need more bias tape than what one strip will yield. 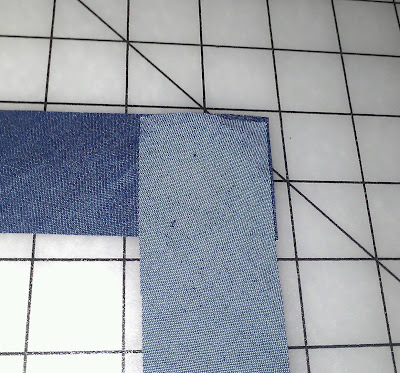 When you have all of the strips cut, trim the little triangle pieces off the ends so your strips are now rectangular. 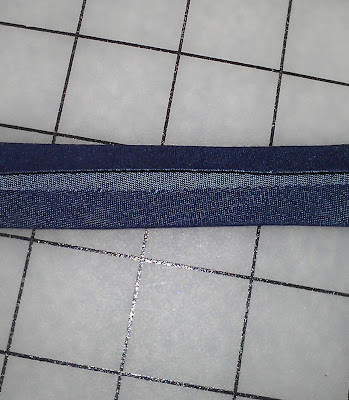 There is a small trick to joining strips of bias tape to make one longer piece. Because these pieces are cut on the bias, you do not want to just line them up end-to-end and sew them together. 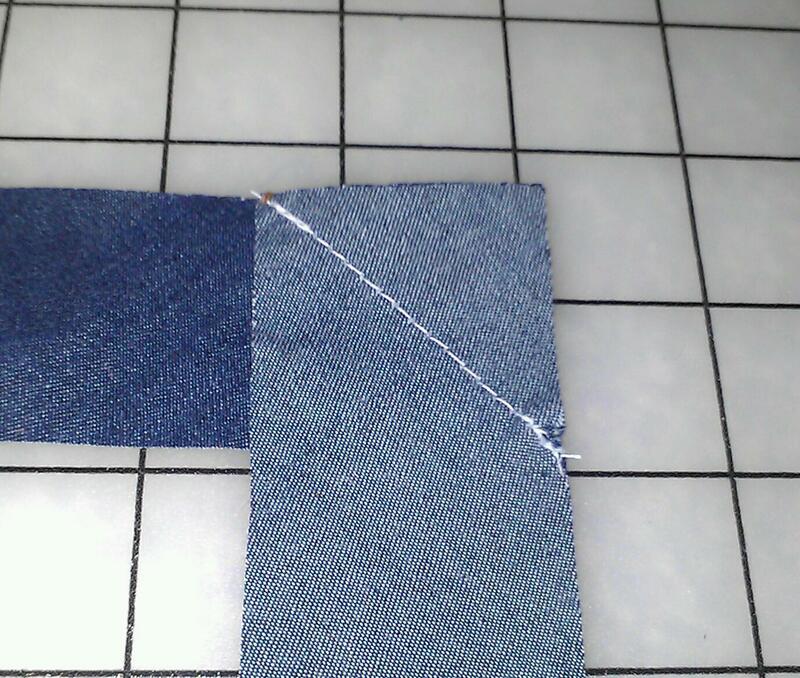 You want to stitch with the grain line, which is now at a 45 degree angle to your straight edges. 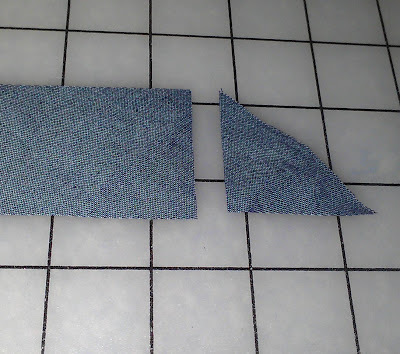 With right sides together, lay the pieces you want to connect together in an L shape, as shown in the picture below. Pin the pieces together. 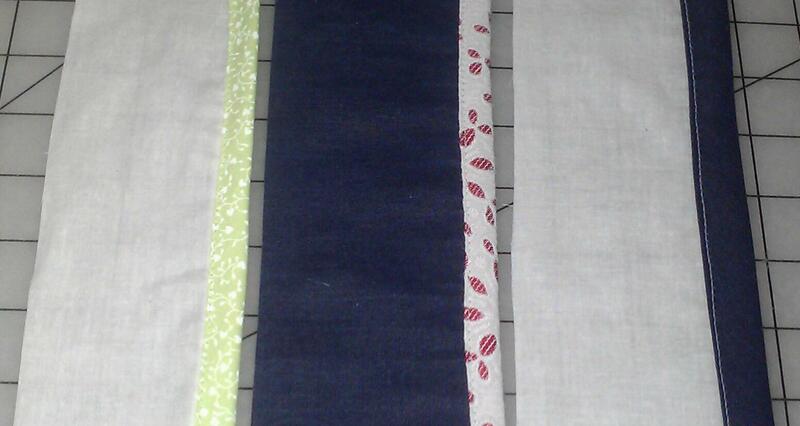 Here I pinned them along the stitching line. 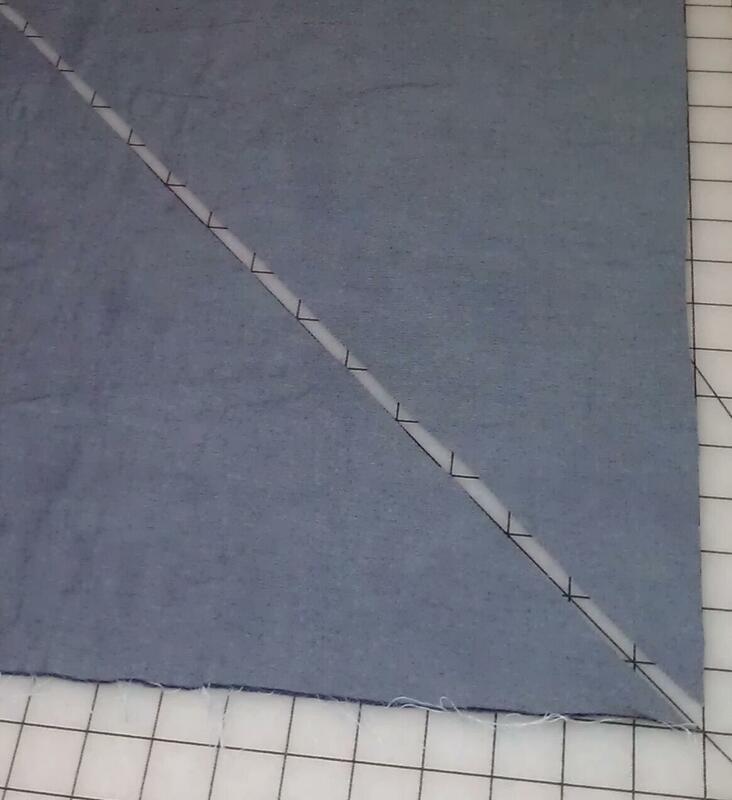 Stitch diagonally along the stitching line, essentially "chopping off" the corner. I used a contrasting thread to enable the stitching to show up better in photographs; I would recommend using a matching thread. 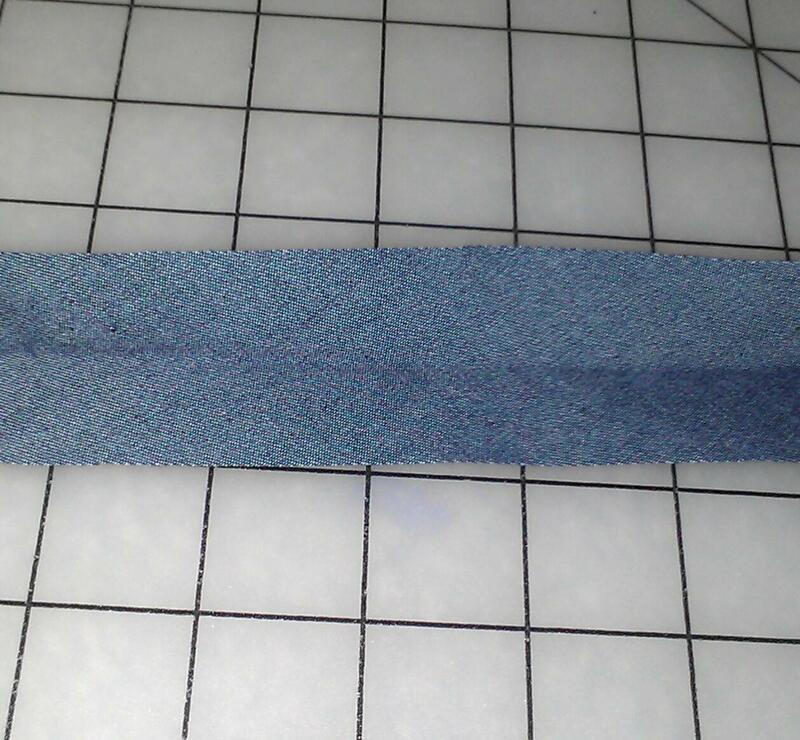 Trim the corner off, leaving about 1/8" seam allowance. Open up the tape and press the seam you just created. 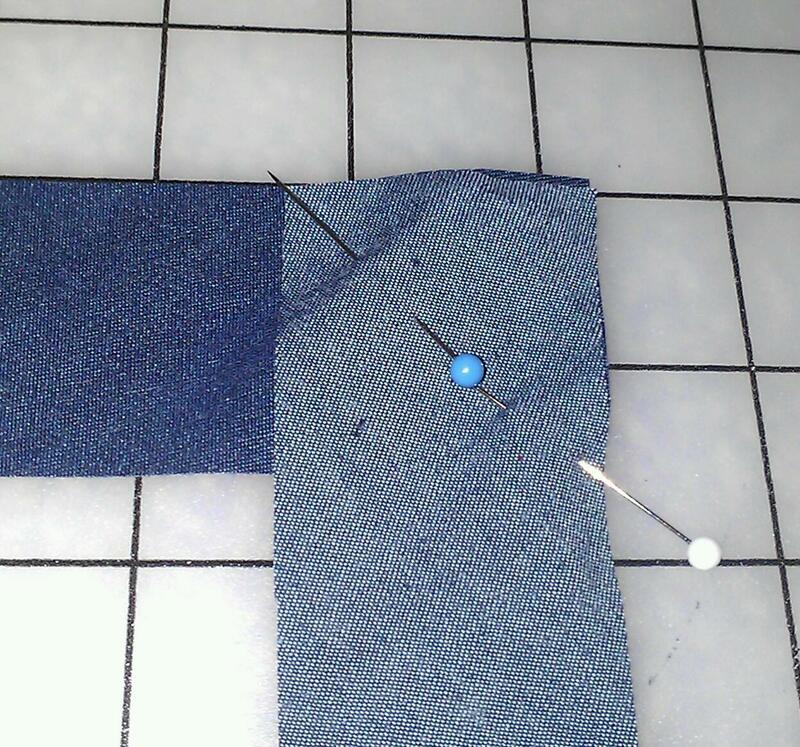 Add any other pieces necessary in the same manner to achieve the yardage of bias tape you need. 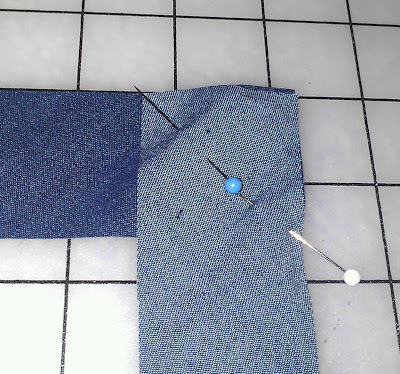 Press the bias tape in half lengthwise. 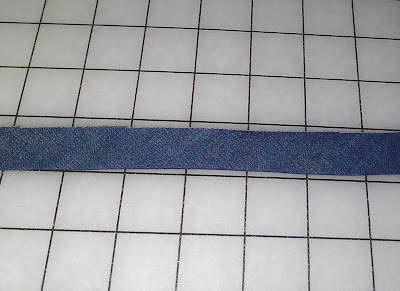 Open the tape, wrong-side up, to see the crease line running down the middle of the tape. 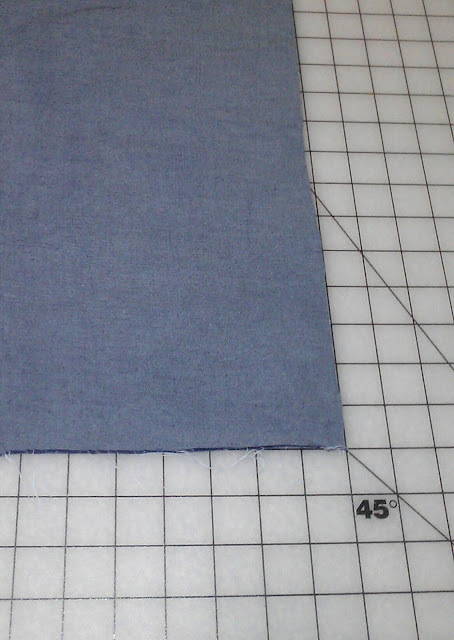 Bring the raw edges in to the crease in the center and press. 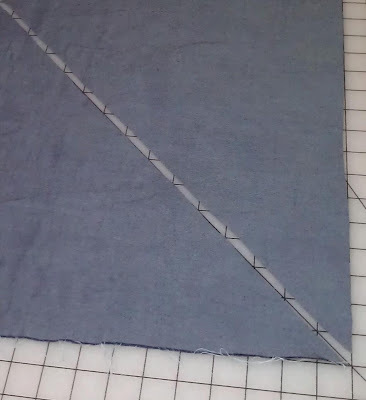 I do both edges at once; you may find it easier to do one edge at a time. 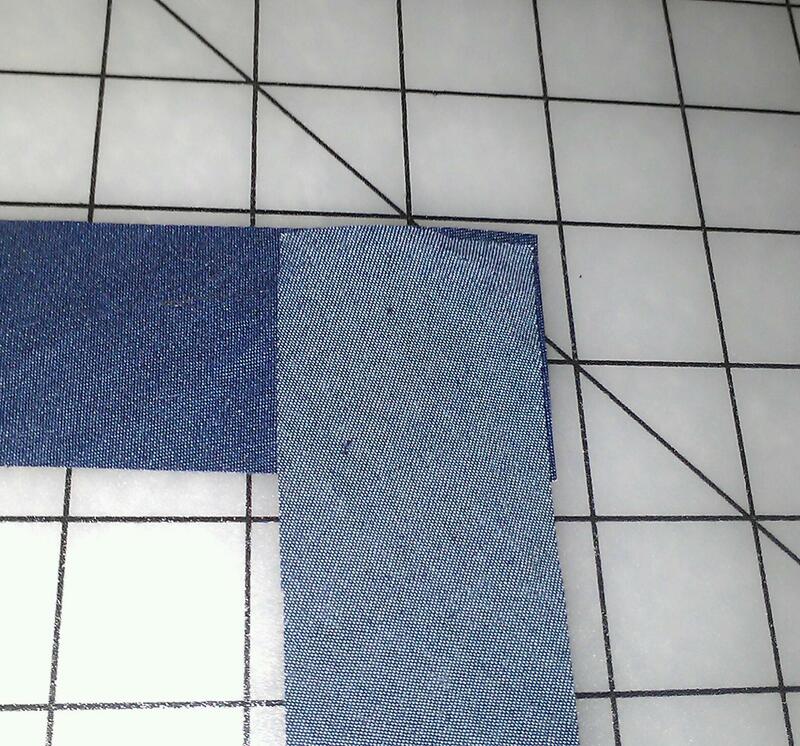 Keeping both raw edges folded in to the center, fold again on the original crease line and press again. Voila! 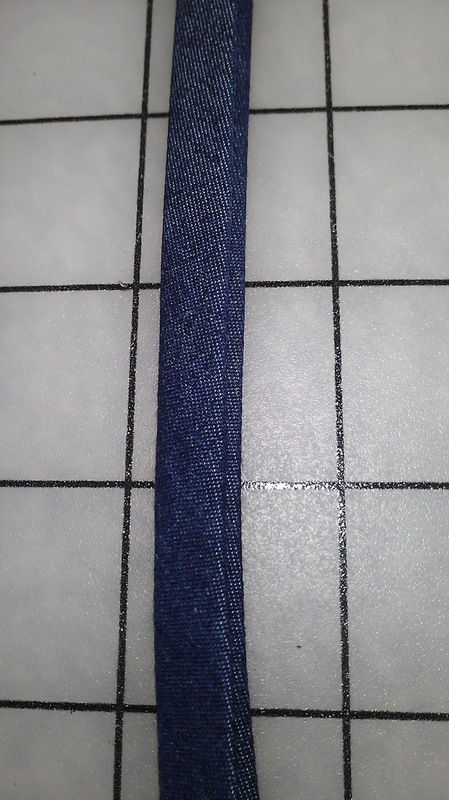 You are finished with your own custom bias tape! Now go have fun making all kinds of items with a couture finish!